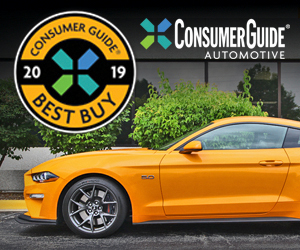 After Ford introduced an all-new Mustang as a 2015 model, it was only a matter of time before hotter performance versions showed up. 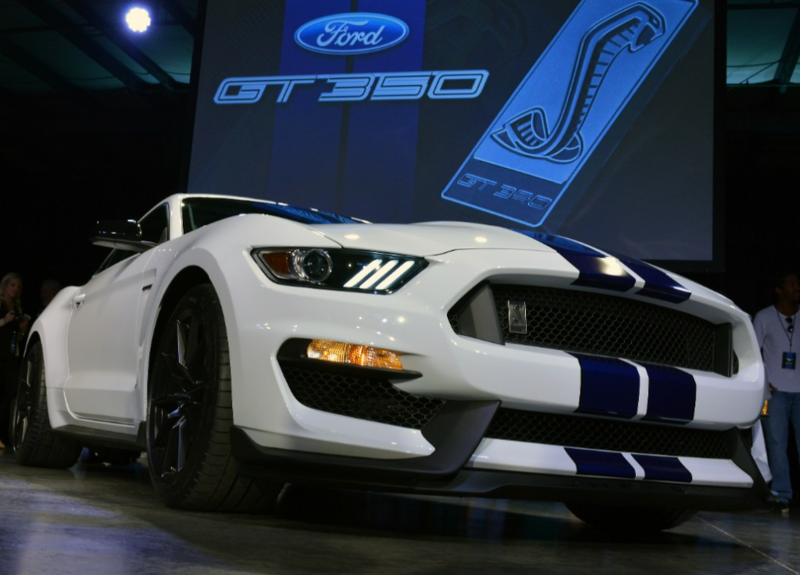 Ford unveiled one of the first of those at the 2014 Los Angeles Auto Show: the Shelby GT350. 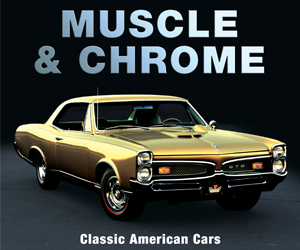 The name should be familiar to even casual Mustang fans: Legendary race-car- and performance-car mogul Carroll Shelby produced a series of performance Mustangs in the Sixties that remain some of the most sought-after pony cars of all time. Visually, the new GT350 pays homage to Shelby’s 1965 original, with blue stripes over a white finish. It also stays true to the original’s concept as an uncompromising car that is street legal but focused on race-track performance. The engine is a 5.2-liter V8 with an exotic flat-plane crankshaft—a piece of performance hardware usually found in high-end exotics or dedicated race cars. Ford says the engine will produce more than 500 horsepower—it’s the most powerful naturally aspirated engine Ford has ever produced. A lightweight six-speed manual is the lone transmission. The rest of the car has been upgraded to keep pace with the performance potential of its formidable engine. Structural stiffness has been improved, and the usual chassis tricks of a retuned suspension, monster-sized Brembo brakes, and sticky Michelin Pilot Sport tires on extra-wide 19-inch alloy wheels are present and accounted for. 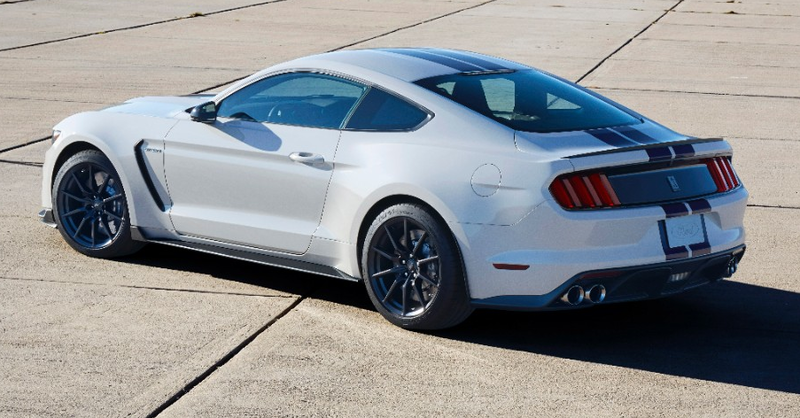 The GT350 also marks Ford’s first use of a magnetic ride control suspension system. MagneRide dampers are filled with hydraulic fluid impregnated with iron particles; the magnetically charged fluid adjusts within milliseconds to constant input from wheel-position sensors for optimum handling response. In addition to its iconic paint scheme, the new GT350 wears unique front and rear fascias, a sleeker aluminum hood with a functional air extractor vent, and a rear decklid spoiler. Recontoured front fenders cover the wider tires, and incorporate vents to draw turbulent air out of the wheel wells. Inside, race-focused touches include Recaro seats, a flat-bottomed steering wheel, and reduced chrome and bright finishes to cut down on driver-distracting sun glare. This one isn’t surprising—the Shelby GT350s of the Sixties have been performance legends since they were introduced, so it’s natural that Ford would want to trade on that sterling heritage while stepping up the performance of the already fantastic 2015 Mustang. The new GT350 looks like it stays true to the spirit of the original, but with a level of technology and sophistication that could have only been dreamed of in the Sixties. Written by: Damon Bell on November 19, 2014.on February 28, 2019.